This title contains the following sensitive themes: emotional abuse, explicit violence. Isaac and Logan meet when Logan pretends to be dating Isaac’s sister at a family holiday meal. It’s a cute start to a sweet relationship. It’s an insta-love relationship. Isaac and Logan move from strangers to boyfriends within a week and the story tracks the first year in Logan and Isaac’s life together. I have to admit that I found long stretches of this book pretty dull. Isaac and Logan both have big friend/family groups and there is a limit to the amount of hipster friendship drama I can tolerate. Not much happens until a very dramatic scene with Isaac’s parents near the end. I didn’t understand Isaac’s relationship with his parents from the start and the key scene felt a little bit too over the top to be believable. Logan and Isaac are both nice guys – I just didn’t find either of them terribly memorable. For the most part, this is a very low-key romance and some readers will enjoy the ‘slice of life’ realism of the story. I felt a little bit old for this book and I’m guessing Millennial readers might relate better to some of the smaller dramas in the story. 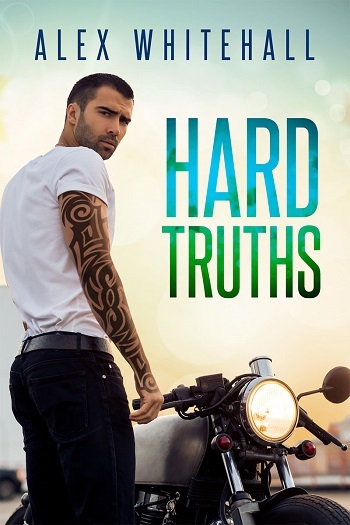 Reviewers on the Wicked Reads Review Team were provided a free copy of Hard Truths by Alex Whitehall to read and review.